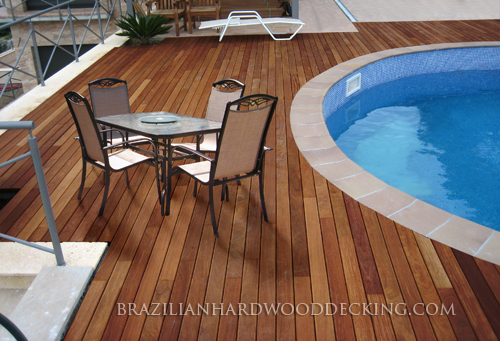 Cumaru decking originates from Brazil and is the preferred Cedar decking alternative many professionals recommend. With a Janka hardness rating of 3540, Cumaru is one of the strongest woods in the world. Cumaru has qualities that are vastly superior to many other decking materials. See more Cumaru Deck pictures. Discover more Cumaru wood information. Cumaru prices are also very affordable. When you build a Cumaru deck you will own a stronger, and genuinely beautiful outdoor retreat.